Add some disco vibes to your look with these leggings. 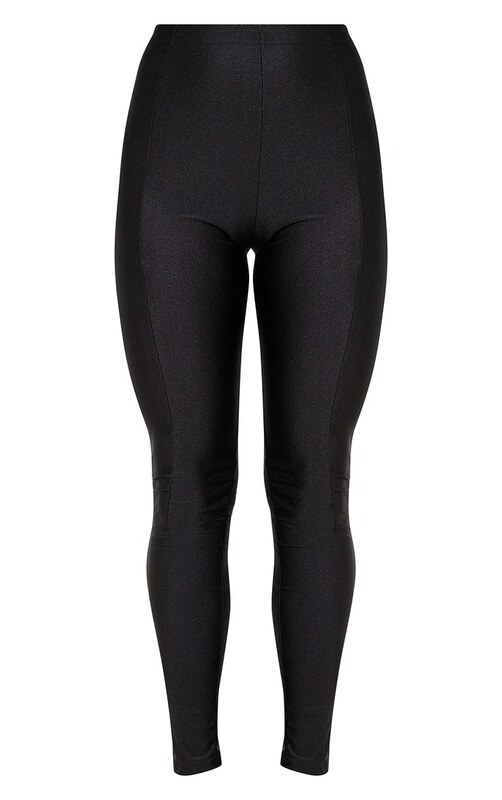 Featuring a black disco material with seams on the front and an elasticated waistband. Team this with a cropped sweater and barely-there heels for a sports luxe vibe we are loving.